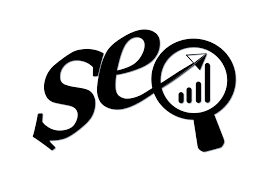 Did you know when it comes to search engine rankings the number one factor is links. This is according to a study done by Moz. However, on like a decade ago, nowadays links are really hard to build and you sure need a lot of them for your page to rank high in google search. So how do you go about building links. Find the keywords you want to rank for. Generally, I reckon you go for the low competitive keywords and build up from there but if you are in a competitive niche like mine where there are already established competitors, then find out the keywords your competitors rank for and tweak it. One of my favorite place to search for popular articles based on social shares is Buzzsumo. Let me put it this way. Lets say you sell candy bars and you want to rank for a key word like chocolate candy, simply go to Buzzsumo and type in the keywords like chocolate candy that are related to your niche. You will see all the popular articles on the keywords based on most social shares. Find the most informative articles. This does not mean you should seek out the longest article. No, I mean articles with quality info. Once you find the article, create an info-graphic based on that same information. If you do not know how to create an info-graphic, no worries, you can pay freelancers on sites like fiverr to do it for you or you can simply use one of those free online info-graphic tools. But I reckon you hire someone to make the information on the info-graph blend in together and look good. Oh! one more thing, make sure you site the source of your information. The last thing you need is to get your post flagged for copy rights violation. Now the next step is to embed code at the bottom of your info-graph. If you don’t know how to embed code, no worries. If you have a WordPress site then this will be easier to do. With a WordPress site you can do this when you are about to add a media to a post. There are good WordPress plugins for that. It will embed code automatically. here’s why you embed code into your info-graph. Have you ever seen a post on social media and you liked it so much that you shared it or used in your own content? If that info-graph has an embedded code, guess what, as you shared it or posted it on your site, it links back to that site. Same thing happens when people use your info-graph. 4. The next step, go back to the article on Buzzsumo you used to create your info-graph. Click on view shares to see people who shared that article. Email them and tell them about your info-graphic content and that you will like to show them if they are interested. Note! Try not to spam people with things that don’t make sense. Instead, make the email sound personal and do not make it seem like an email from sales agents. Otherwise people won’t open them. Next go to ahrefs, yes! Its spelled correctly. Ahrefs is a great resource for stats info. Now type in the URL of the article you used to see all the people who linked to it. Then email them about your content and if they will link to link to you and vice versa. 5. Use an email collecting tool on your website to mass email people about your content or each time you post a new content. This is effective if done right but it takes more time. Take note that when mass emailing people, always double check before you send it. It helps if a second pair of eyes takes a look at it. Also, always use the Bcc field. That being said, if all of these sounds like a hassle that’s because it is but it will be worth it if done correctly. However, you can kick start your link building campaign by submitting your site to web directories. Personally, I’d reckon you use paid web directories because its easier to get backlinks this way. Check out the benefits of using paid web directories. Try out a Pilot Watch Now!